Jennie here with you today to announce our three chosen Pinworthy winners for our Back to Nature Challenge last month. The challenge theme prompted some wonderful submissions and we thank you all for joining in and sharing your creativity with us. Two beautiful but very different cards. We loved the gorgeous subtle neutrals of the wildflower meadow with the tumbled leaves and also the vivid colour tones of the leaves against the wonderful inky spattered background. A fabulous Autumn wreath with the most glorious texture, dimension and colour. 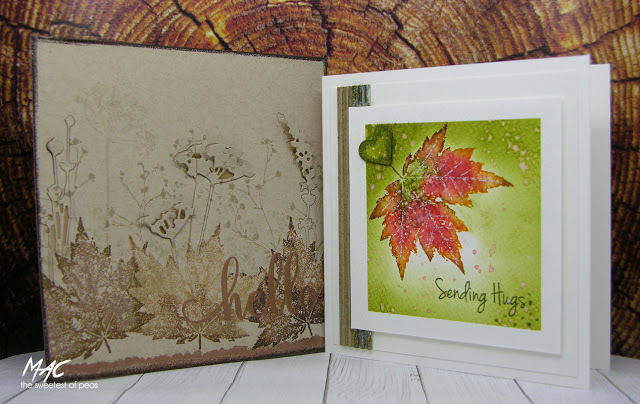 The beautifully embossed, inked and stamped background is stunning too. 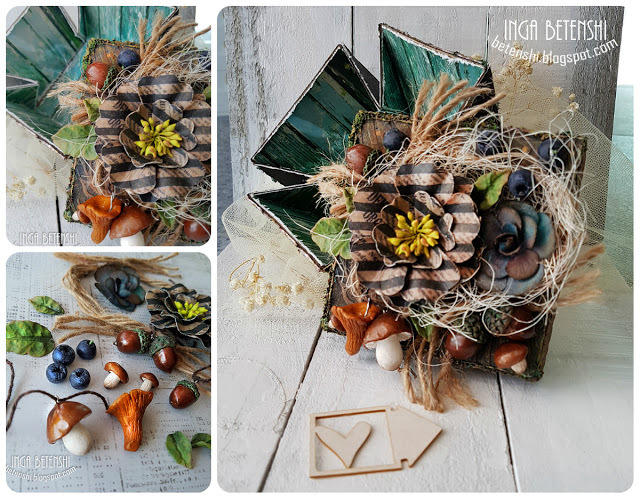 A very unusual exploding box with stunning Autumn embellishments made from polymer clay. We will be in touch shortly with your badges and your creations will be pinned to our Pinterest boards. Thank you again to all of you who joined in the Back to Nature Challenge. 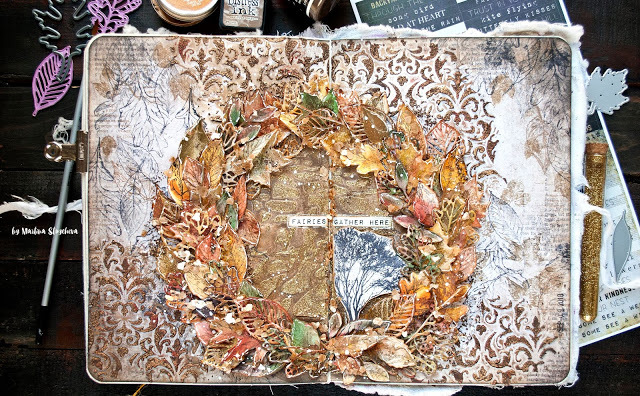 We hope you will join us this month for Sara Emily's fabulous Autumn Splendour Challenge. All the details and inspirational projects created by the Creative Guides can be found HERE. Congratulations Mac, Martina and Inga on your Pinworthy wins. Your projects are all fabulous interpretations of the 'Back to Nature' theme .